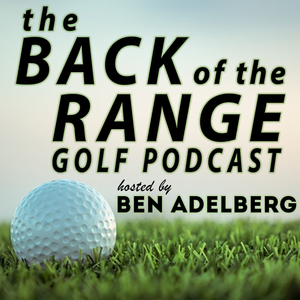 We found 10 episodes of The Back of the Range Golf Podcast with the tag “golf”. Our guest this week is Shannon Johnson, the 2018 US Women's Mid Amateur Champion. Shannon has played in 13 USGA Championships and has racked up 13 state titles in her home state of South Dakota including four straight Women’s Amateur titles between 2003-06. We talked about her amateur career, her decision to stay an amateur, and her home course of Thorny Lea in Massachucets. Does that name ring a bell? That's Matt Parziale's club. He won the 2017 US Mid Amateur.....so clearly we had to talk about Parz and the culture at Thorny Lea. Our guest this week is the most stylish man in golf! Marty Hackel is still a contributor to Golf Digest Magazine, and is still considered their Fashion Director Emeritus. Marty shared some stories about the fashion that we all see on the PGA Tour, his thoughts on Tiger and Phil, and the dreaded white belt syndrome! Our special guest this week is Steve LeBrun from West Palm Beach, Florida. With his back against the wall after three average rounds in Web.com Q-School Finals this year, Steve qualified on the number with a final round 62. Steve tells the entire story of that round and what is means for him, his family, and his prospects as a professional chasing his way back to the PGA Tour. For those of you that think the life of a professional golfer is glamourous....and full of private jets, courtesy cars, and endless endorsement deals...well, during this episode, Steve draws back the curtain and reveals what life is really like for professionals chasing the dream. Our guest this week is Scott Turner, the owner/operator of the Minor League Golf Tour based out of South Florida. The MLGT has been around since 2004 and through over 1400 tournaments, they've paid out over 8.5 million in prize money. Nearly 80 of their former players had status on the PGA and/or Web.com Tour in 2018. When Scott isn't running overseeing the day-to-day operations of the tour, he competes in amateur tournaments all over the state of Florida. Since reclaiming his amateur status, he has racked up numerous wins in Florida State Golf Association events and was the Palm Beach County Golf Association Player of the Year in 2018. Our guest this week is Scott Stallings. Before becoming a 3X winner on the PGA Tour, Scott was a two-time Ohio Valley Conference Player of the Year as a Golden Eagle at Tennessee Tech University. Scott picked up his first win in 2011 at the Greenbriar. He backed up that win in 2012 at the True South and won again in 2014 at the Farmers Insurance Open. Scott has battled health issues, but with the help of a new fitness program, he is in the best shape of his life as he enters his 9th year on the PGA Tour.